This is a tasty and quick recipe that works as a main dish as well as it does as an appetizer. Saute onion and chopped mushrooms in olive oil; set aside and cook chicken in olive oil until done, about 5 minutes. Season with salt and pepper to taste. Add onion, mushroom and chopped water chestnuts. Cook 3 minutes. Then add Thai chili sauce and soy sauce. Simmer 3 minutes. 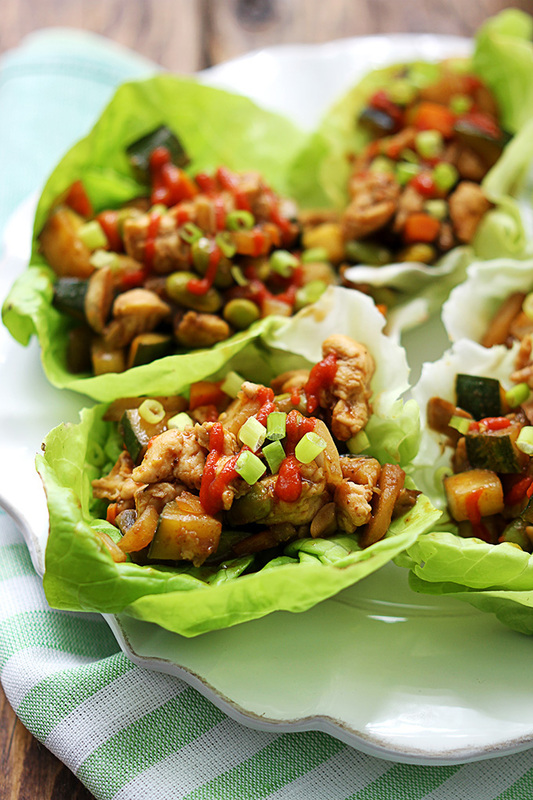 Serve inside lettuce leaves with chili sauce for extra flavor.